It’s strange to think that in another 8 weeks we could be meeting our baby boys. 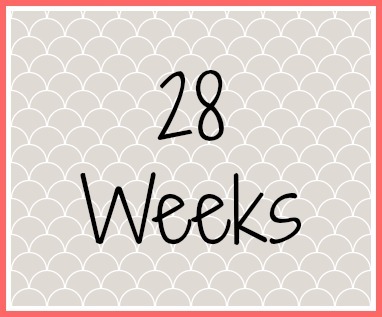 I’ve said all along every week that passes is another week I feel reassured; 28 weeks was a milestone and I had it in my head that if I reached that stage without any complications I’d be happy. Now I’m here and I’m focusing on 30 weeks. It’s strange to think that not that long ago we thought our twins were MC/MA and we would have been preparing to have them at 32 weeks! This week I was back at the hospital for my GTT blood test, another scan and a clinic appointment with my doctor. The babies measurements are all tracking quite nicely and the doctor has said these last few weeks are about getting the weight on them so hopefully they won’t have to spend time in special care. I’ve still got to be aware of any early labour symptoms and although I’ve had a few twinges they haven’t been prolonged or particularly painful. You would think I would know what to expect with this being my 2nd pregnancy but I never had any Braxton Hicks with Lucas and he wasn’t much of a wriggler. My waters didn’t break and my contractions were unusual because he was back to back so they didn’t even pick them up clearly on the monitor, but I was definitely feeling them! Its amazing how much you forget in such a short space of time. The babies are still in quite awkward positions but I’ve been told there is still time for them to move. One is lying breech back to back down my left side and the other is transverse almost along the top so they are like a letter T. It certainly felt to me like they weren’t in the right position as I’m feeling a lot of jabs in funny places. The last appointment I have booked is at 34 weeks so we’ll see how things are progressing then and take it from there. I am exactly 36 weeks on the 20th December, I know our Christmas will be chaotic whatever happens. I’ve definitely slowed down a lot earlier with this pregnancy which I suppose is to be expected. I remember when I was pregnant with Lucas I came home from work and would sometimes have a nap or a bath to relax and at the weekends I could lie in and do as much or as little as I wanted, I didn’t know how lucky I was! With the first you are really able to enjoy the pregnancy and take your time; I feel like this one has been a whirlwind and before we know it the babies will be here! It must be so very exciting to be having twins. Well done on getting to such an important milestone. Will be thinking of you. I can’t believe you are in week 28 already.